Renovations are often thought to increase the value of your home before selling it but not all renovations are created equal and some may even lower the value of your home to some potential buyers. Before you invest your time and money in a long, expensive renovation, figure out if it is really worth the cost. The most popular home renovations that are worth doing are upgrades to your kitchen and a makeover to your bathroom – or bathrooms. Kitchen renovations are definitely at the top of the ‘do’ list. As the heart of the home and the place where many families spend most of their time, it a solid bet that upgrading your kitchen will be a worthwhile investment. Start by upgrading to stainless steel appliances. Next, install countertops made of granite or engineered stone (like Caesarstone). Both of these are fairly easy changes which will dramatically alter the aesthetics of your kitchen, creating a more modern and functional space. Even small details can make a big difference. Replace knobs on cabinets and purchase a new faucet for the sink to make sure everything really looks its best. If you are willing to make a larger renovation, consider knocking down half of a wall in order to connect the kitchen to the den or living room. This can help make the kitchen feel more spacious and allow the homeowner to stay connected with their dinner party or keep an eye on their kids while cooking. 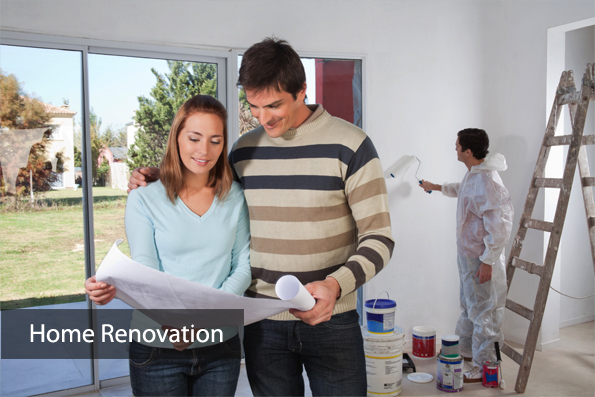 The next most valuable renovation you can undergo to increase the value of your home is upgrading or revamping your bathroom. A toilet that doesn’t work properly or looks old, cracked, or dirty can be a big turn-off so make sure to replace it with one that works and looks like new. The same goes for the vanity: It should be eye-catching but practical. Proper lighting can be another great way to add value so consider adding or enlarging a window in order to get more natural light into your bathroom. Finally, don’t forget to look into reglazing your bathtub to make it look shiny and new as well. Putting in a pool: No matter how much fun you can have in a pool, they can still be a big turn-off to potential buyers for the maintenance alone not to mention the added liability. And in climates where the pool can only be used a few months of the year, this is even less likely to increase your sell price. Convert bedroom: Turning an extra bedroom into something specific to your family’s interests can be a great way to make use of otherwise empty space but make sure whatever you do is easy to change back. If not, your home may become less valuable to a larger family or anyone who doesn’t want to spend the money converting it back. This is doubly true of converting the garage – many families will want somewhere to put their car, not an extra living room or bedroom. Putting down carpet: Carpet has lost popularity due allergies and extra cleaning requirements. Instead of carpet lay natural hardwood floors which are easier to clean and much better for pet-owners and allergy-sufferers alike.